Are you opening a new law firm? We’ve got the information you need! Expert law practice management specialists from around the country gathered at the CBA and shared informative, practical information on getting a new law firm open for business. Speakers Jim Calloway, Reid Trautz, Natalie Kelly and Catherine Sanders Reach provide just-in-time information for lawyer entrepreneurs. 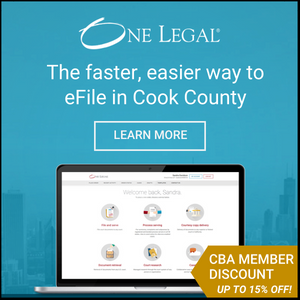 Chicago Bar Association members can watch the entire program for free which includes segments on Starting a Practice, Budget & Financing, Building a Client Base, Web and Social Media, Money Matters, All About Clients, Risk Management and the Life of the Lawyer.